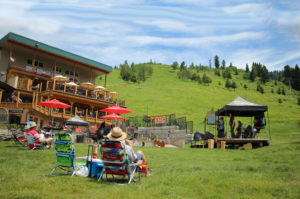 Brundage Mountain is more than just a place for outdoor recreation. It’s a place where special events create LASTING MEMORIES. Our five Friday concerts are FREE. Bring a chair to enjoy the show from the lawn or reserve a prime spot on the balcony or plaza to enjoy our prix fixe dinner. Walk-ins are welcome to enjoy the dinner, too. Or, just grab some drinks from the bar and relax. You choose! Don’t miss the 4th Annual Cat Track 10k/5k and the return of downhill and cross-country bike racing in the Brundage Bike Park. In addition to our seasonal classics, we host customized catered events & destination weddings at Brundage Mountain, where our beautiful natural setting provides a delightful backdrop for a lifetime of memories. The local experts at InIdaho.com work with hundreds of lodging properties and offer personal attention to turn your next trip to McCall into an adventure-packed getaway. No booking fees ever!